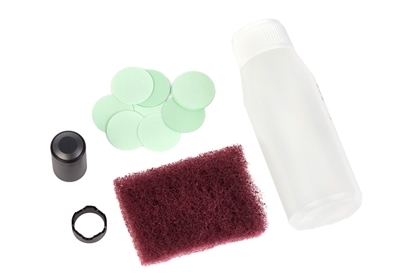 We offer sensor spot integration for your spots in vials, chambers, vessels, flaks etc. This accessory set for our DAQ, Bluetooth power strip and REG instruments, is used for control of oxygen saturation in water by injection of pure oxygen gas (hyperoxic) or nitrogen gas (hypoxia). 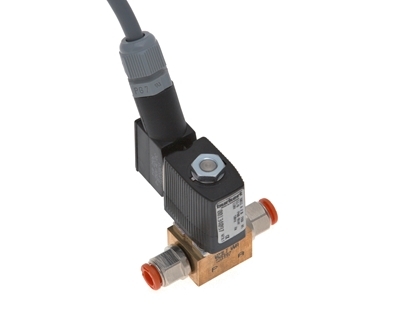 The miniature solenoid valve is used for shut-off, dosing, filling, ventilating and for technical vacuum. 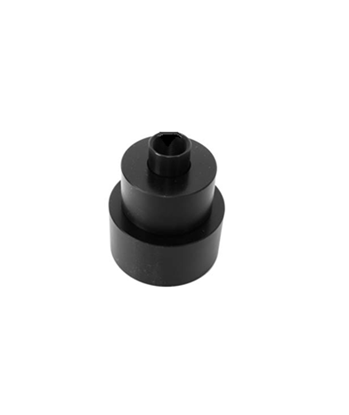 It is of modular design and may be mounted individually or as a block on a multiple manifold. 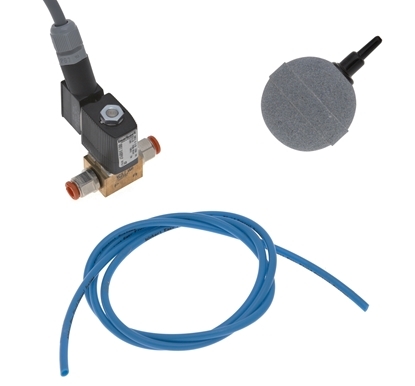 Use this flow through probe vessel to have the point of sensing (and calibration) outside the measuring chamber, e.g. in the recirculation loop.